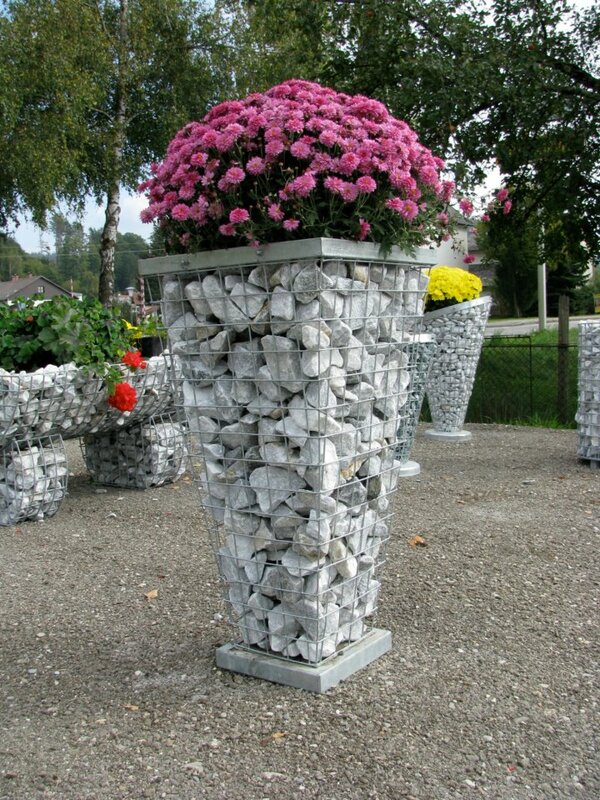 Hi my lovely people! 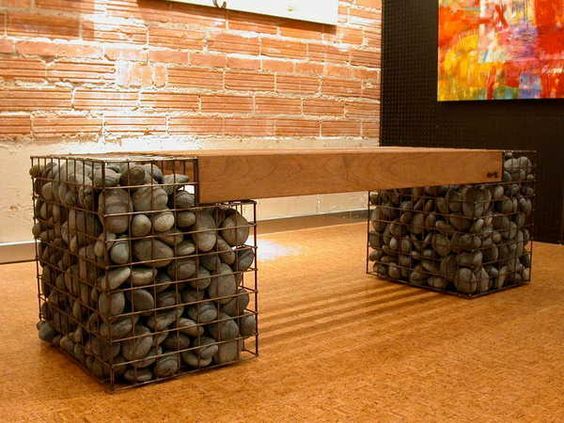 Have you ever wondered how you can incorporate a gabion into your interior? 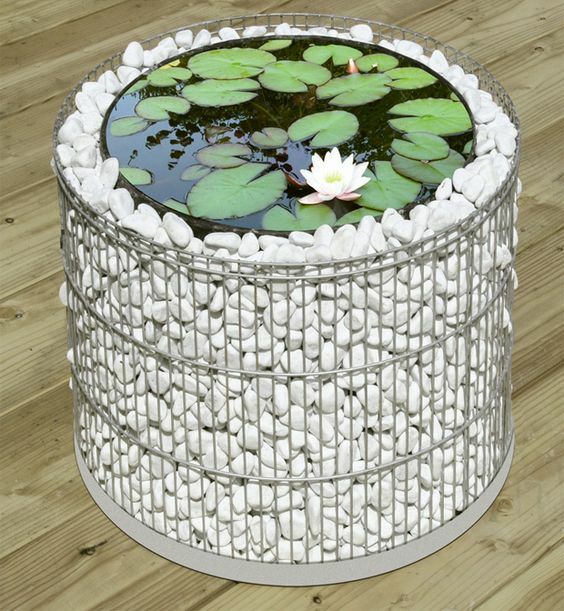 The wirework container that is filled with rocks, broken concrete used in construction can serve you a as a beautiful element that you can put in your home or garden. 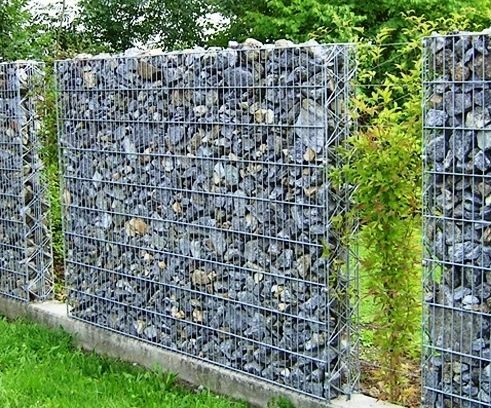 I could not believe how many ideas are there regarding gabion. 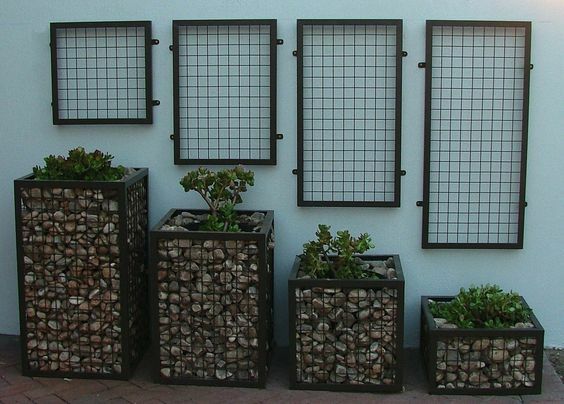 There are plenty garden benches, decor elements, coffee tables, flower planters, and even garden fences that you can make with this gabion. 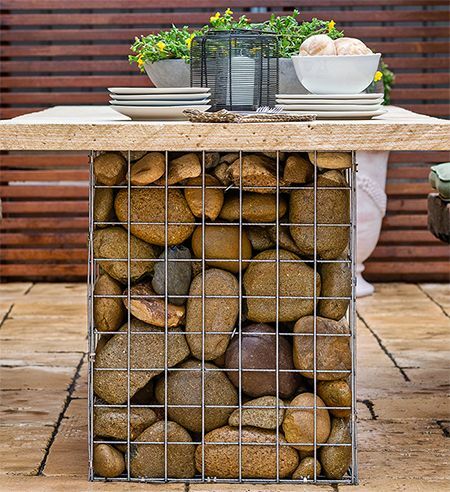 I tried to collect the most attractive and practical examples on how you may incorporate this fancy idea and here there are for you the 25+ Stunning Gabion Ideas That You Should Not Miss . 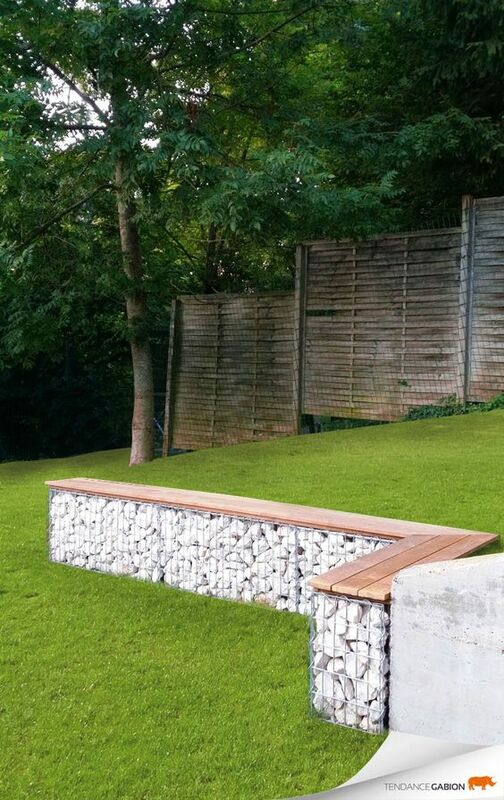 Gabion containers can make perfect bench legs that will even look artistic. 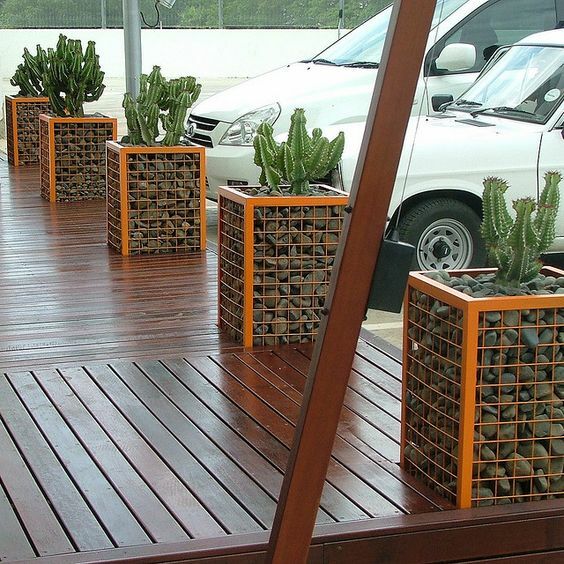 It is really good for industrial and rustic interiors as shown in the picture above, or they can be perfect for your garden as in the following picture. 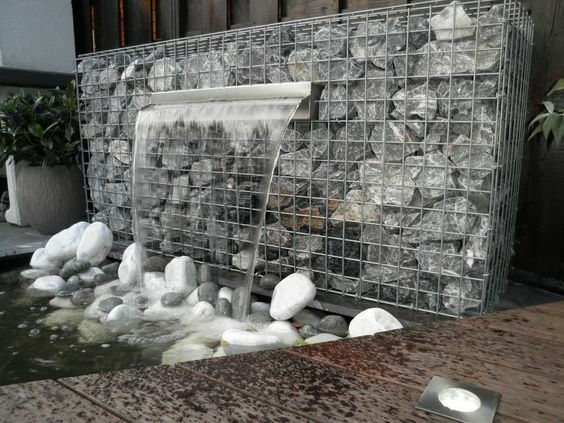 Gabion looks really cool as an element for your water feature. 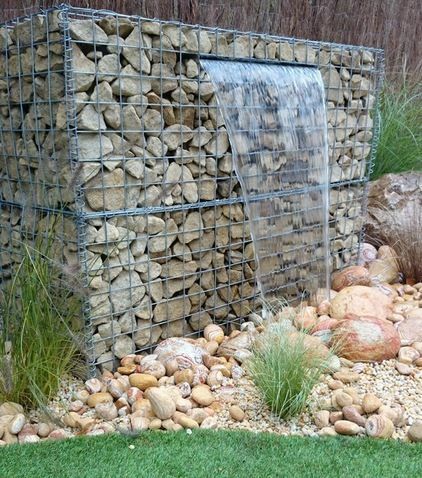 You can make a gabion filled with big rocks and use it as a water fountain. 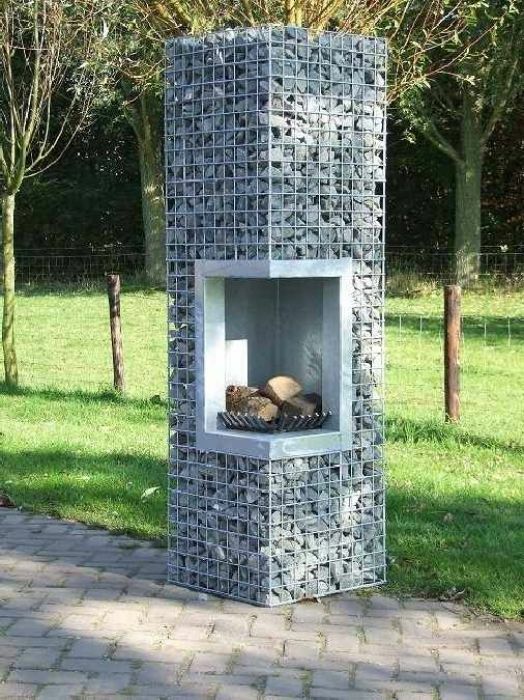 It looks really stunning and it will catch everybody’s eyes. 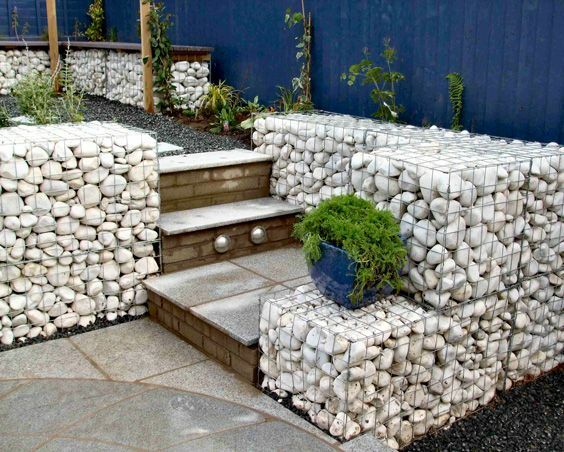 Look at how gorgeous it may look when the gabion is used in your garden as a large bench where you can add also a fire pit and nice decorations. 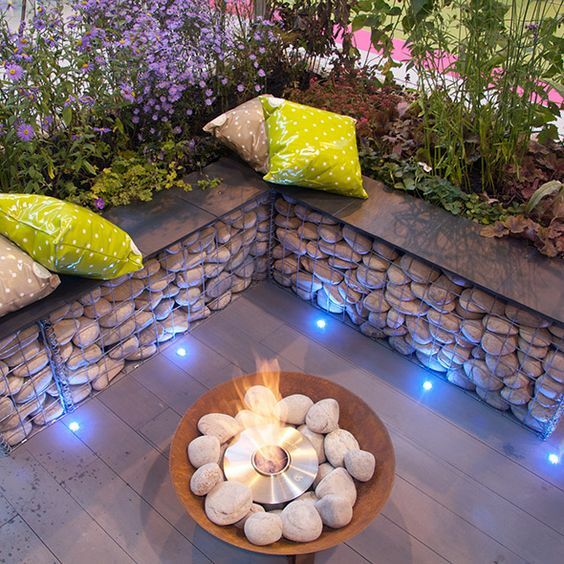 You can create a landscape picture filled with many flowers and amazing lighting solutions. 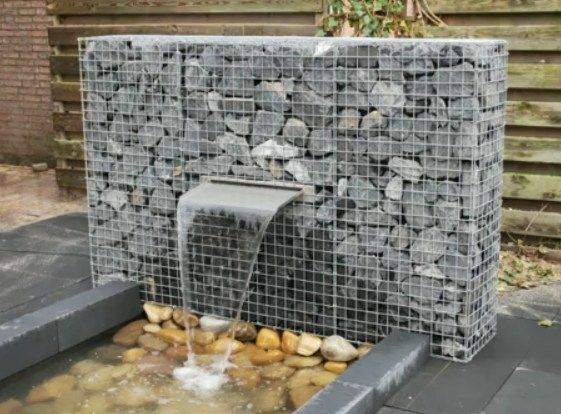 The designer of the gabion in the following picture has paid a lot of attention to details and has wisely chosen the size and color of the rocks in order to create this masterpiece. 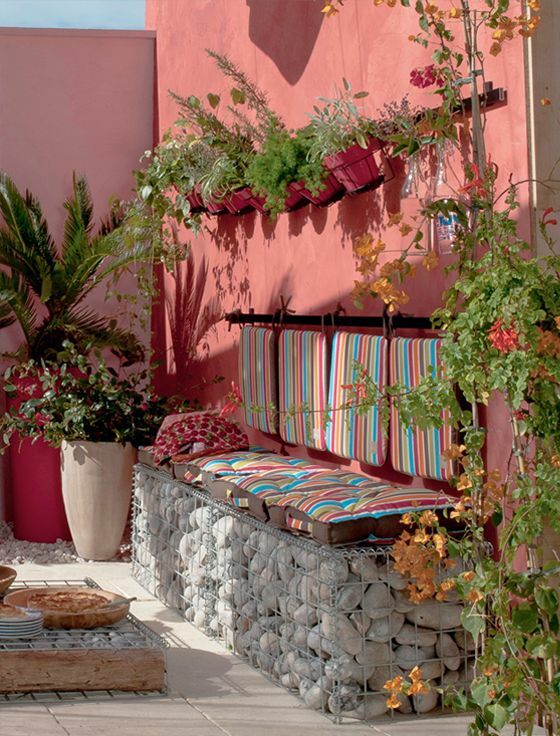 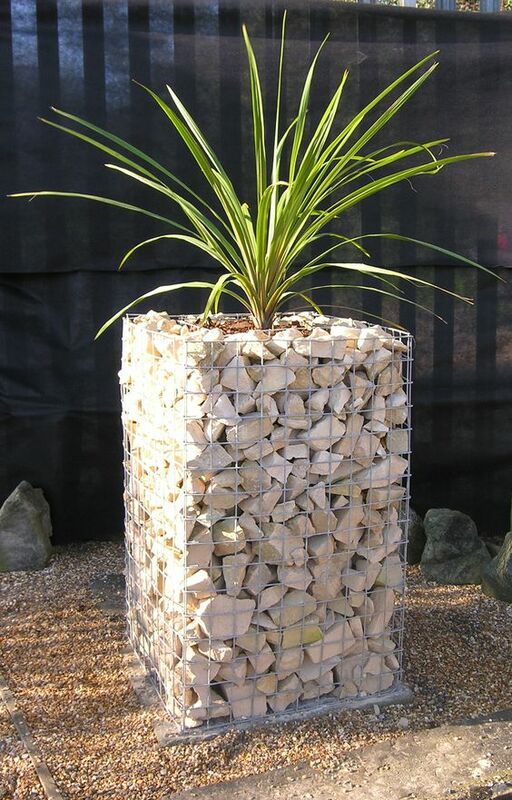 Look at the following stylish gabion flower planter which will beautify your home. 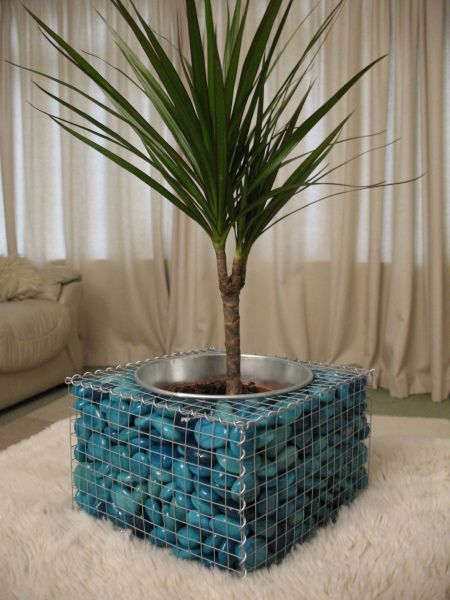 The blue stones deserve the special attention. 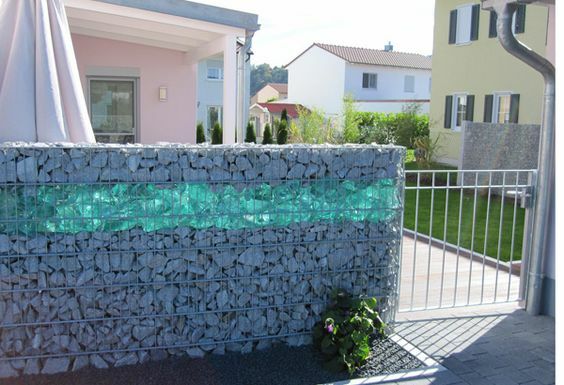 For your own gabion ideas project you can paint the collected stones and get the same impression. 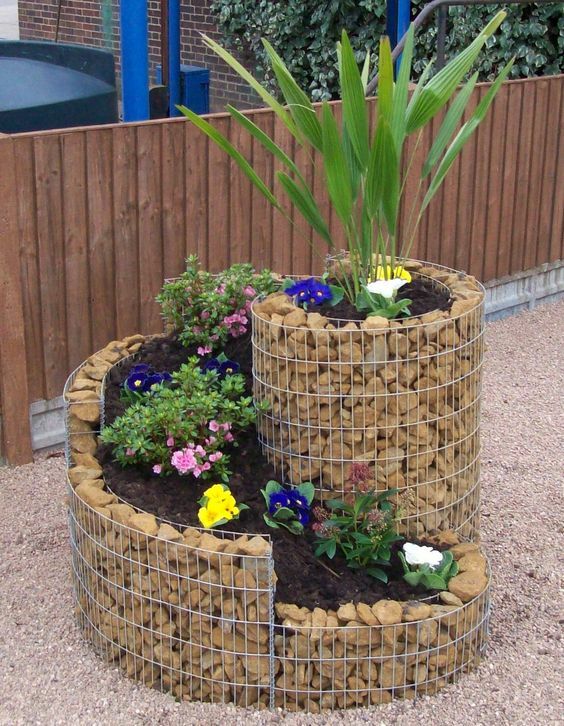 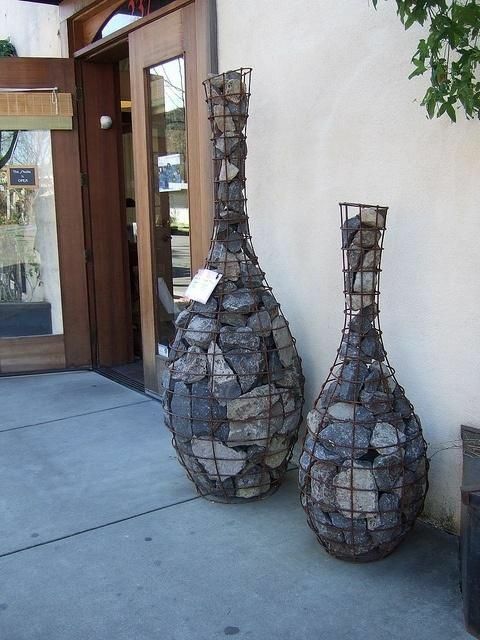 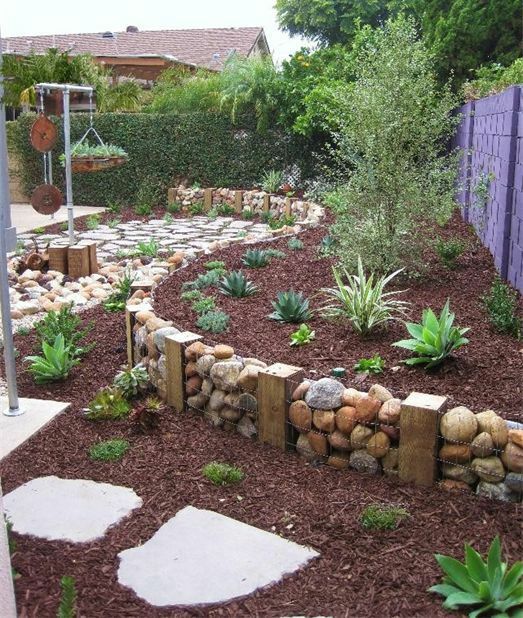 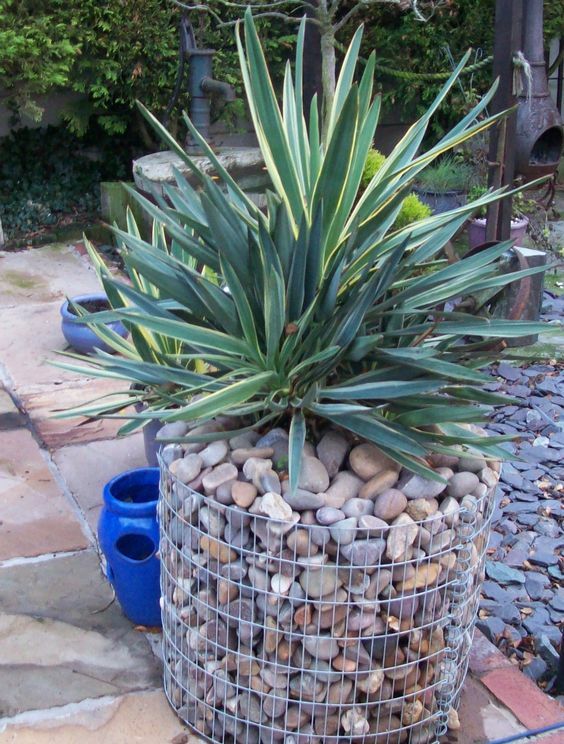 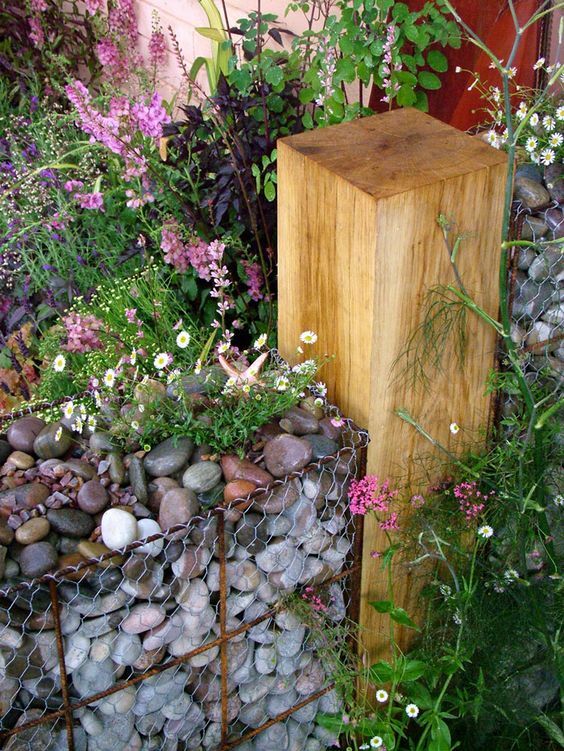 One other great usage gabion ideas as a garden fence. 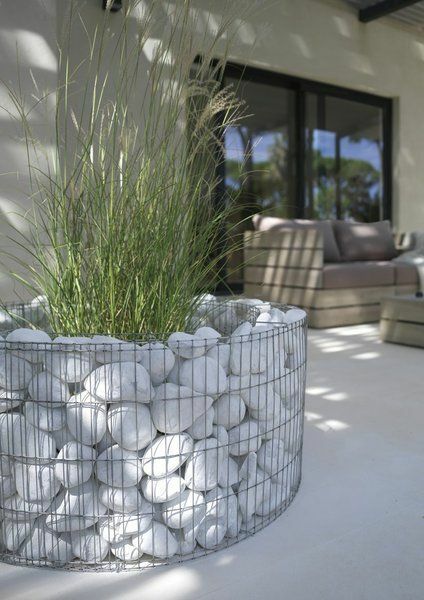 This is a fancy look fence made of stones in a wirework container. 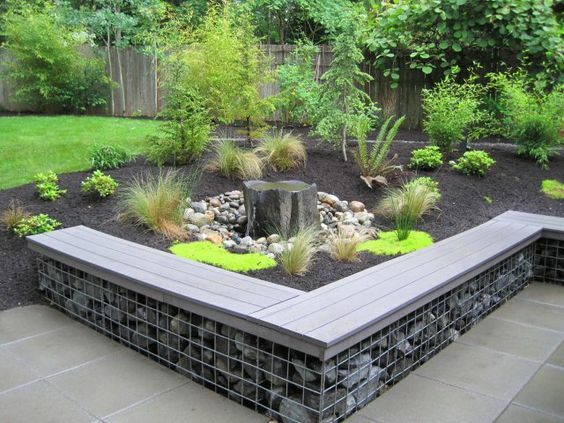 It will give you the necessary privacy and make your garden looks unique and stunning. 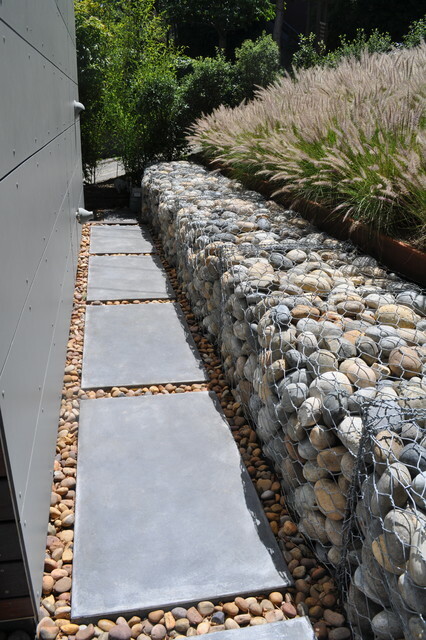 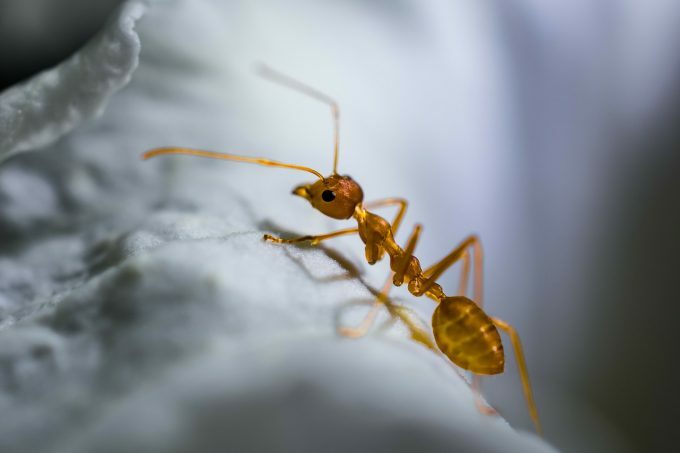 Check out the following pictures and share your impressions with us.